Buxus should be formed and cut to keep its famous compact and dense appearance, if unkept it grows like any other common bush. Forming should be done twice a year: in June when the new parts become woody and in between August and September to form buxus for autumn and winter. The cutting should be done on cloudy days, if the this is not an option, the seedlings should be regularly sprayed to prevent leaves blanching. 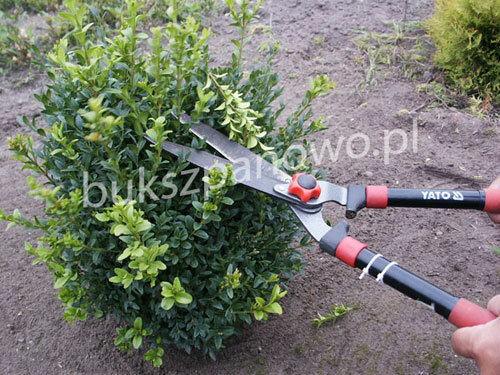 To prune buxus we use secateurs or electrical secateurs. We can also prune it with scissors we find at home, however this is only advised when we cut single spheres, figures or other single shapes. The easiest way to form a hedge is by using electrical secateurs with narrow blades, however, the disadvantage of doing this is jagged leaves and branches. Only sharp blades should be used. To prune the hedge we can use string, to do so we set poles at the ends and we attach to them line We can then set the level by eye or using a spirit level. 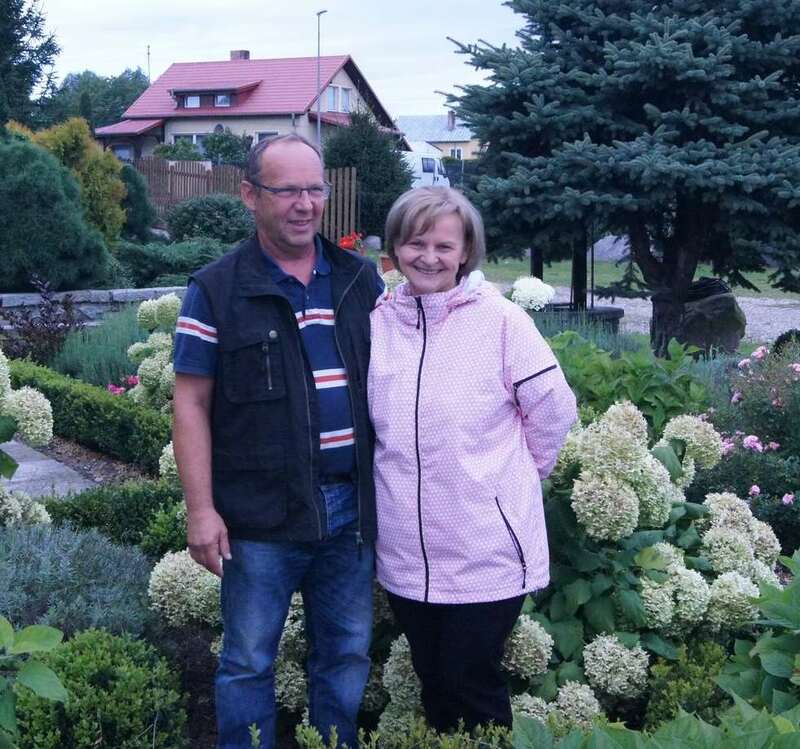 Every now and again, from a distance, we should check if we are pruning the plant correctly. During pruning scissors or secateurs can get stuck because of the leaves. Therefore it is a good idea to have a bucket with water in which you can clean your tools. 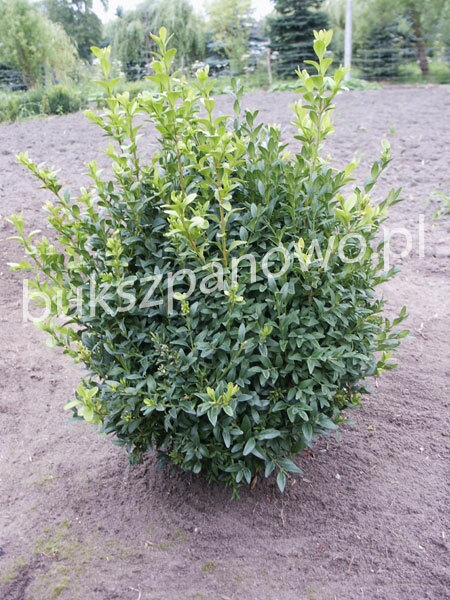 I'm going to plantsits 2 buxus seedlings in mid-September. Can freshly planted shrubs be immediately formed – can I prune without fear that they are not yet well rooted and can get sick? Do not rush to cut buxus just after planting, because it first should have time to be rooted. Otherwise, it can „start" slower. After that it can be cut and formed regularly without fear twice per year. I would like to have 3 buxus balls of various sizes. Are there any special forms for trimming buxuss? If so, where can I buy them? 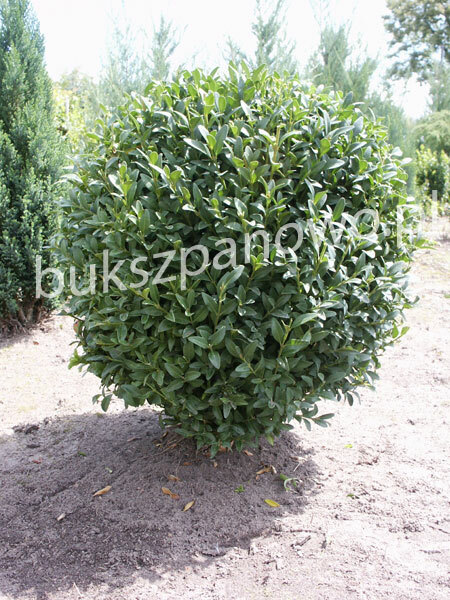 We propose to cut out a rectangular cardboard hemispheres and with the help of this template cut Buxus.